The US will provide its “moderate” rebel ground force in Syria with armored pickup trucks and communication tools to call-in airstrikes, under a new plan that Washington is pursuing in order to curb the ISIS threat it helped create, according to the WSJ. Moderate fighters are to receive Toyota Hi-Lux pickups with machine guns with GPS devices to help the US-led bombing mission coordinate strikes against the jihadi militants, The Wall Street Journal reported, stressing that the final decision to provide air support to the rebels hasn’t been made. Based on information from several sources, the publication states the plan is part of a “train-and-equip” program that is due to begin next month and will mark the first time Washington has openly armed the rebels. The Pentagon hopes to outmaneuver ISIS in the region by providing the rebels with “superior” training and air support capabilities. Based on the experience of the Kobani campaign last year, where rebels called in American B-1B bombers for help, officials hope the strategy will succeed. 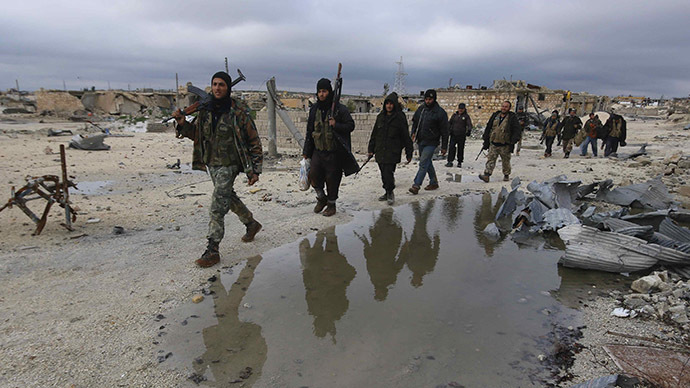 “The way we envision it, it would be very similar to Kobani,” said a senior military official. ICYMI great combo of @AFP pictures of a US strike in #Kobane#Syriapic.twitter.com/CODTQmB2sC"
The US planes would drop 500- and 2,000-pound guided bombs on moving targets, such as tanks, using the B-1’s sniper pod. WSJ however questions the possible success of such a decision, as officials believe that moderate rebels will not outnumber the IS forces. Officials also point out that rebels could use their newly gained capabilities to call out strikes against President Assad’s forces. “I would say it is more of a PR thing than part of a sustained campaign,” James Carafano, a defense analyst at the Heritage Foundation said of the potential campaign. 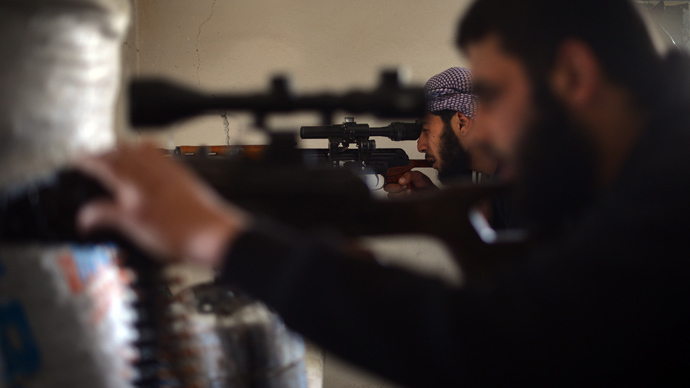 The US-led mission to train Syrian rebels is expected to start as early as March. The Pentagon, which said it plans to train 5,000 Syrian fighters a year for three years, foresees the first batch of 3,000 US-trained rebels returning to Syria around the end of 2015, Rear Admiral John Kirby told Reuters. US government databases and regional ones will be used to perform background checks on candidates. Turkey, Saudi Arabia, Qatar and Jordan are offering help with training bases, but Kirby declined to comment further on the choice of sites. "There's about 1,200 individuals who have been identified for participation – potential participation – in this process and in this program," he said. As part of the training mission, teams of four to six rebels will each be given a Toyota pickup and trackers enabling them to call in airstrikes. 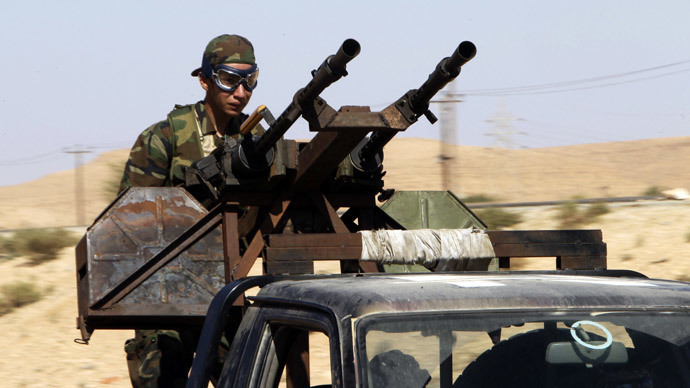 The fighters will also be given mortars, or even more complex antitank weapons. 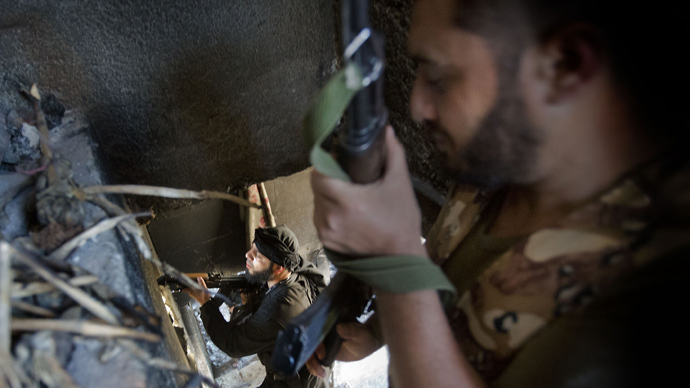 Military officials said their ability to control the rebels will be limited once they are on the battlefield, but Washington plans to use some leverage, such as ammunition resupply and paychecks to keep control on those it helped train. “All those things could be put at risk if they go counter to what we have asked them to do,” one official told The Wall Street Journal. The US expanded its large-scale air campaign against ISIS into Syria in September after the US president authorized US Central Command to work with partner nations in the region to tackle the jihadi threat. Damascus however has seen no direct cooperation since airstrikes began on its soil without any legal international mandate. The US National Security Council has refused to coordinate its air campaign with the Syrian government, which the US considers to have lost legitimacy. Washington should respect the sovereignty of Syria in its attempts to deal with the Islamic State, Damascus warned earlier. Many experts expressed concern that US airstrikes may eventually target not only the Islamic State, but also government targets and forces loyal to President Assad. The departure of Assad in such an unstable situation would only lead to more chaos and suffering for the Syrian people, Russia warned earlier. Moscow insists that only direct talks between parties involved in the conflict – the government and the opposition – can help to resolve the ongoing crisis in the face of more severe radical jihadist threat.